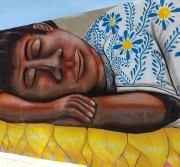 Visting Puebla, Mexico, is an incredible experience and great opportunity to explore places where art, artists and craftsmen offer you a local artistic vision with unique cultural interest. 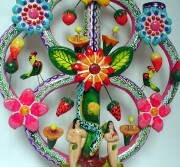 Árbol de la Vida (Tree of Life) is a theme of clay sculpture created in central Mexico. The image depicted in these sculptures originally was for the teaching of the Biblical story of creation to natives in the early colonial period. The fashioning of the trees in a clay sculpture began in Izucar de Matamoros, Puebla but today the craft is most closely identified with Metepec. Traditionally, these sculptures are supposed to consist of certain biblical images, such as Adam and Eve, but recently there have been trees created with themes completely unrelated to the Bible. Visit and shopping to artisans workshops. Mexico City was originally built on an island of Lake Texcoco by the Aztecs in 1325 as Tenochtitlan, which was almost completely destroyed in the 1521 siege of Tenochtitlan, and subsequently redesigned and rebuilt in accordance with the Spanish urban standards. In 1524, the municipality of Mexico City was established, known as Mexico Tenochtitlan, and as of 1585 it was officially known as Ciudad de Mexico (Mexico City). 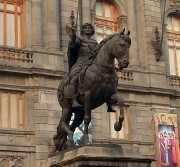 Mexico City served as the political, administrative and financial center of a major part of the Spanish colonial empire. After independence from Spain was achieved, the Federal District was created in 1824.. Mexico City Tour: Zocalo Square, Cathedral Church, National Palace murals, Palace murals, palace of Fine Arts and Iturbide Palace. Tlaxcala is the capital city of the Mexican state of Tlaxcala. The city did not exist during the Prehispanic period but was laid out by the Spanish as a center of evangelization and governance after the Spanish conquest of the Aztec empire. 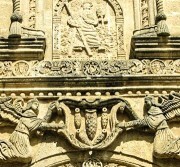 It was designated as a diocese but eventually lost this status to Puebla as its population declined. The city still has many of its old colonial structures including the former Franciscan monastery and magnificent murals painted by the artist Desiderio Hernández Xochitiotzin.. Tlaxcala Tour: 5 hours. 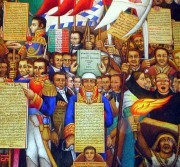 State Goverment Palace murals, Zocalo Square, Cathedral of Our Lady of Assumption, Bull ring. Early sixteenth century monasteries in Mexico at the slopes of Popocatepetl volcano are fourteen and were built by the Franciscans, Dominicans and Augustinians monks to evangelize the areas south and east of the volcano. These monasteries were recognized by UNESCO as a World Heritage Site in 1994 because it served as a model for other monasteries and churches of New Spain, and for the evangelization efforts in New Spain and some points beyond Latin America. Let's explore the beauty along the Puebla streets where we discover the cultural influences of centuries of art and traditions. 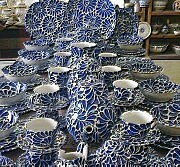 Puebla has been the most important Talavera ceramic spot in Mexico since 1550 when the first Spanish potters started manufacturing beautiful pieces in the city for all New Spain (Mexico) and the Americas. The tour takes 4 hours and we visit the most impotant Talavera factories in downtown Puebla. Tecali is a quiet village, which remains well preserved its center. Its streets are straight, flat, neat, and they abound in onyx or alabaster workshops and stores that sell their handicrafts. 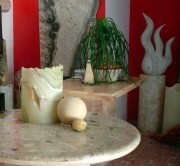 The Municipal Market of Onyx is supplied by local artisans union. There are many shops where you can find plenty of onix crafts. 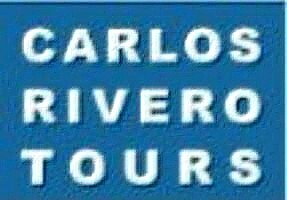 Tour goes to Casa Azul, birthplace and studio of Frida Kahlo where she spend big time of her life painting and living with Diego Rivera. Casa Azul is ctually a memorial museum to Frida and collects a good number of Frida's paintings and memories. 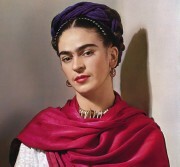 As well, there is a important exhibition of Frida's dresses and personal items. Place is worth to visit. 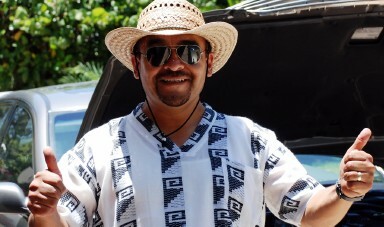 There is visit to Coyoacan downtown where Casa Azul is located.